I’m a planner. In fact, sometimes I like the planning and dreaming more than the execution. But occasionally, that means I put the cart before the horse. And I get worked up about things that might happen. Things that could happen. Things that are unlikely to happen. 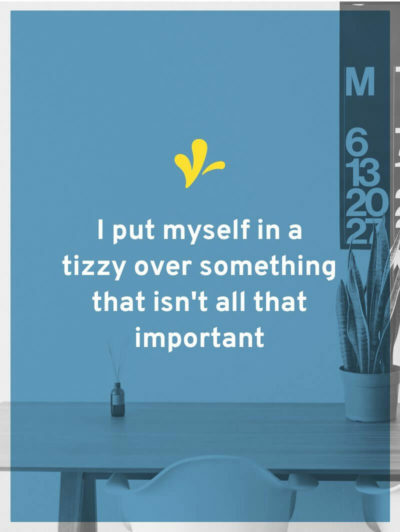 And so I put myself in a tizzy over something that it turns out isn’t all that important. Or relevant given where I’m at. In my law firm, I tend to attract people like me–planners. In fact, a couple weeks back, I met with a new client. About 10 years ago, she started a handmade business. But after trying for several years to get it off the ground, the sales were still few and far between. So she gave up and closed up shop. Since then, she found a satisfying creative 9-5 job, got married, bought a house, and had two kids. She’s currently on maternity leave from having her second child. And because of the cost of childcare in San Francisco, she’s considering staying home with the kids for a few years. But she and her husband are concerned about giving up her steady income. So she’s considering starting another handmade business. So she’s started to create a plan on how to make that happen. But she’s racked with worry. What if no one buys her products? What is she going to make? Will she start hating her hobbies when they become her business? What if she fails again? What if she gets sued? What can wait until she figures out what her products will be? How will she juggle a newborn, a three-year-old, and a brand new business? Will her husband resent her choice not to go back to work? Will her husband support the costs involved in starting a new business? At the end of the meeting, I told her that if she decides to move forward, we’d only be doing the first one. And I gave her a timeline and triggers for when I thought she should tackle the rest. But until she could give me some solid answers on what her business will be, I’m not even going to start on creating her LLC. I told her to think of this as the underpainting of a canvas. Right now she’s going for broad brushstrokes and basic blocking. What she created wouldn’t be perfect. What she wrote wouldn’t exactly match what her business would become. 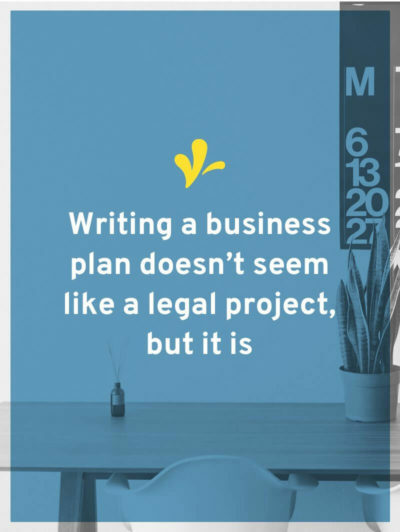 So while “writing a business plan” doesn’t seem like a legal project, it’s actually the first legal project. Because certain legal projects are a waste of your time and money if they aren’t going to help you get when you want to go. And it doesn’t matter what stage you are in your business. Over time you might be fine-tuning, rather than working on the broad brushstrokes. Is there anything you are currently doing in your business that’s putting the cart before the horse? 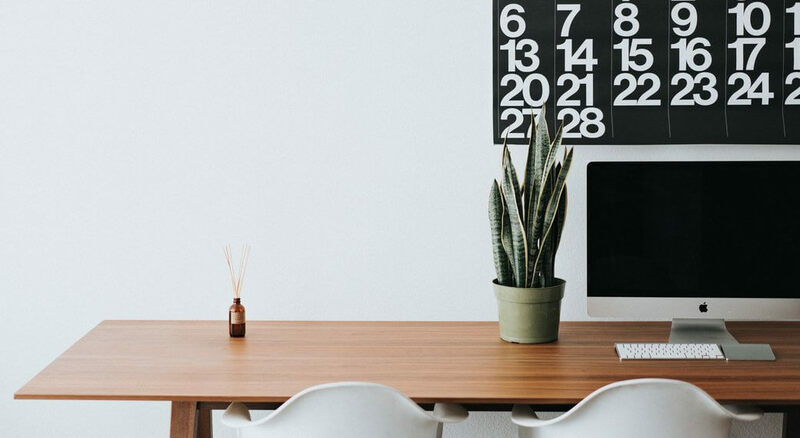 Does your creative business have a business plan? I think every creative business should have a plan. But it doesn’t have to be long, formal, or traditional. You should create a plan in the way that works for you. Because it’s important to not only create a plan but use it as you make decisions for your business. But it’s also important to remember that this isn’t set in stone. Because it’s almost impossible for a new, young business to predict what it’s going to look like five years in the future. And so what you put in your business plan will inevitably change and evolve over time. And that’s good. 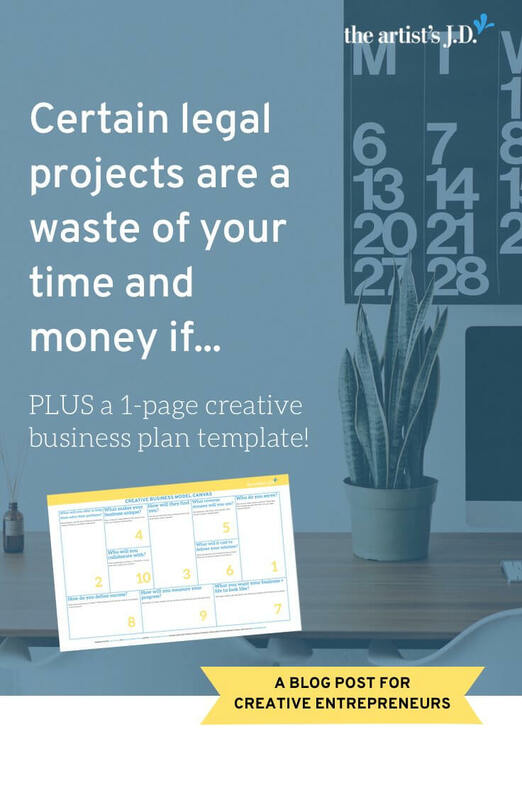 Which is why I created a quick and easy way for you to create a business plan. And I call it the Creative Business Model Canvas. Grab a PDF copy by entering your email below. Check out this 48-minute workshop where I walk you through the Creative Business Model Canvas and explain why a business plan is critical. Once you’ve filled out your Creative Business Model Canvas, members of the artist’s Courtyard can share their Creative Business Model Canvas’ here to get ideas and feedback. 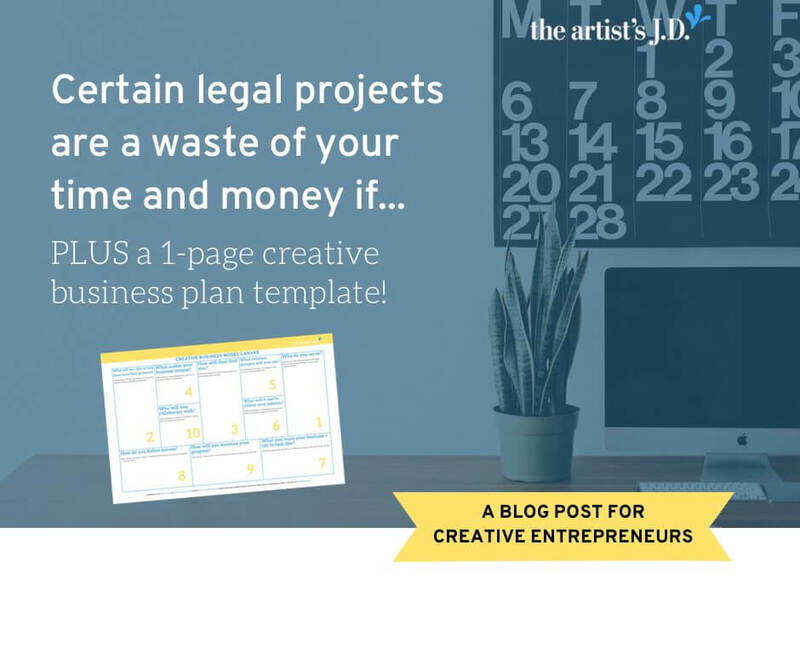 Once you’ve got your business plan, read this article to discover which legal projects should (and shouldn’t) go on your to-do list.